The island of Newfoundland and its collection of smaller islands is the easternmost point of North America. With rocky coastlines and windswept headlines, the area is an ideal breeding ground for many seabirds including the comical-looking puffin. 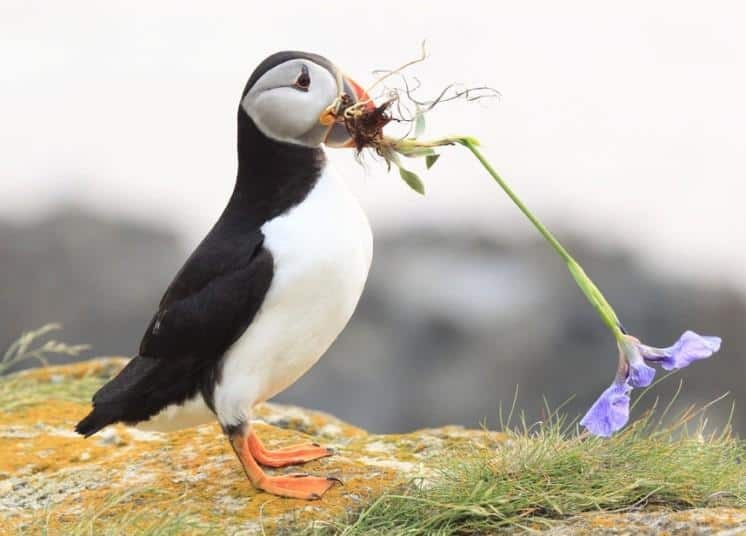 The bird is so prevalent (and adorable) that Newfoundland has adopted the Atlantic Puffin as its official provincial bird and has several protected areas for the birds to nest. Understanding the puffin’s life cycle is key to having a good viewing experience. Like many migratory seabirds, the Atlantic Puffin spends most of its life at sea, covering a wide swath of ocean while feeding and only spending time on land to breed and hatch chicks. 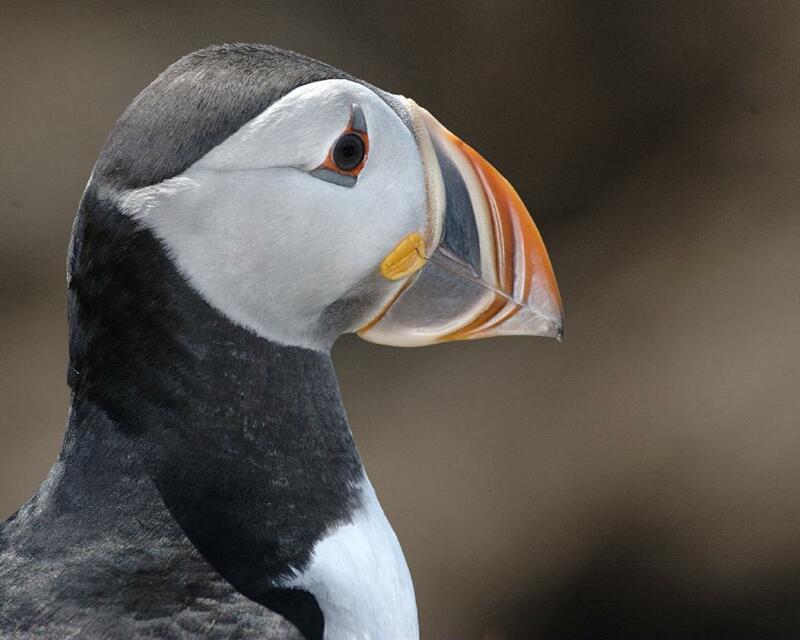 When the birds come to land to breed, they undergo a change and begin sporting a bright orange and yellow beak, dressing up a bit to catch a mate – or to keep their existing mate happy since the Atlantic Puffin is monogamous and mates for life. Once at the breeding ground, females lay their single egg in a burrow that they dig themselves, clearing out a tunnel that’s 70 to 110 cm long. The parents take turns incubating the egg and continue to share parenting duties for the six weeks or so that it takes the chick to become fully fledged (have adult plumage) and begin caring for itself. Depending on when you go to view a colony you may see only adults, adults and chicks, or adults and juveniles getting ready to depart. Once breeding season is over, the rocks are empty of puffins until next year. Most colonies are found on islands without terrestrial predators. Just as the terrain makes it difficult for four-footed beasts to get close to the puffins, it’s hard for two-footed viewers to approach them as well. The best place to see puffins is at the Witless Bay Ecological Reserve – also a great place to see hundreds of other seabirds. The four islands that make up the reserve are just a few kilometres from Avalon Peninsula and are only accessible by boat. 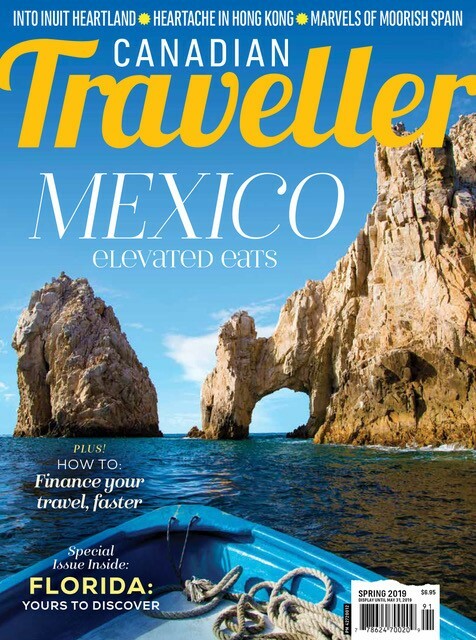 Actually the colonies aren’t really accessible at all and the puffins can only be viewed from the water. Landing on the islands requires a special permit and anyone wishing to take a private boat out to see the puffins needs to check into regulations and restrictions regarding the area around the islands. The closest land-viewing site is at Elliston Point on the Bonavista Peninsula. Visitors can park at the nearby lighthouse and take a five-minute stroll down a path to reach a viewing area that is separated from the breeding ground by only a fence. About 300 nesting pairs inhabit the Point during breeding season and visitors have reported that the birds don’t necessarily respect the fence while wandering the area. Watching them fly overhead is an indescribable experience and the rare (and very quiet) visitor might find themselves lightly trodden upon by curious birds.